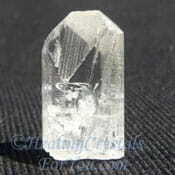 Herkimer Diamonds are beautiful and powerful high vibration crystals, that boost clairvoyant and clairaudient abilities. They are ascension stones, and they will take you to the highest spiritual vibration possible while still being in your physical body. What Are They? Where Are They From? The meaning of the name Herkimer Diamond, relates to the location where they are where they were first found at Herkimer, New York USA. They are not really diamonds but are a variety of double terminated quartz that embody a high crystal energy. 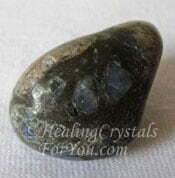 Herkimers are often extremely clear stones but many have black anthraxolite inclusions. 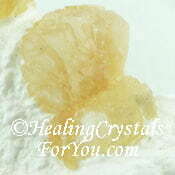 Some even have water inclusions within them, which aid the healing of emotional problems. 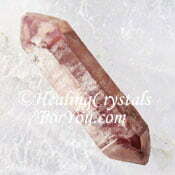 There have been similar double terminated quartz crystal stones that have since been found at other locations. Although they really shouldn't be called 'Herkimer Diamonds', often they are sold under this name, or as Arkimer Diamonds, so be aware. 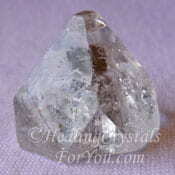 They look quite similar to other Clear Quartz, but they are generally brighter, and they have a very high vibration. 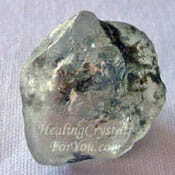 There are also some stones selling now that are labeled Herkimer Quartz. Often the stones labeled like this look similar, in that they are bright clear double terminated quartz, but many come from the Himalayan Mountains in China, so you need to be careful what you buy. Why Would You Use Herkimer Diamonds? 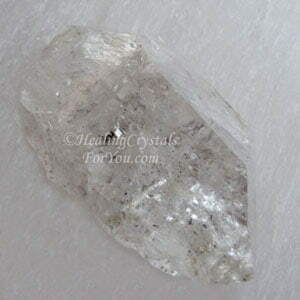 Herkimer Diamonds have a distinct and harmonious energy, that is extremely valuable when used as a tool in a healing environment, and are very useful when utilized with small stones. There are many rare crystals that have a high vibration, but often the specimens you obtain are very tiny stones. The clearer the stone the purer the vibration seems to be. 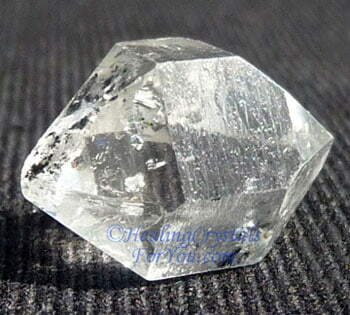 Shop for pieces of Herkimer Diamonds at Exquisite Crystals, who sell high quality crystals. 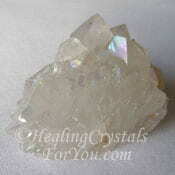 Herkimers have a strong frequency that may stimulate both psychic visions or clairvoyant abilities. Many tiny uncommon crystals have a high vibration and will benefit by being combined with this stone, as the combination will boost the energy of the smaller stone. When they are used this way, it may feel like you are using a larger stone. 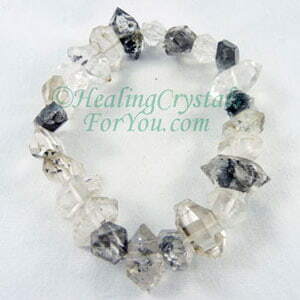 So if you wish to boost the energy of small stones, you may find it is particularly helpful to combine them with Herkimers, especially when you are using rare minerals. This is especially valuable when bigger specimens of rare minerals such as Herderite, are quite difficult to obtain. They may also boost the 'perceived' power of stones with a softer energy like Pink Kunzite, making the energy easier to feel. How Will Herkimer Diamonds Help You? They may enhance spontaneity, increase telepathic abilities, promote better channeling and enhance communication with your spirit guides. This may aid you if you have been working on connecting with your spirit guide. Herkimer Diamonds are also said to boost the immune system so it may be a helpful stone for healing this type of health issue. Those who use the energy of this stone intelligently, may receive exceptional benefit, if the time is taken to work with it. The result may give you greater access to your own natural abilities. 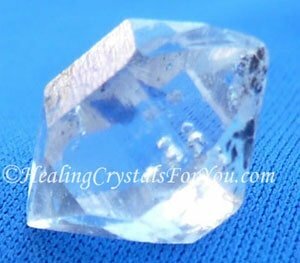 Meditating with a Herkimer may support you in letting go of unconscious fears and help in the overall expansion of your being. 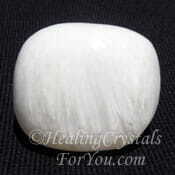 Some say that it will help to purify your energy field and attune you to the white light of the Divine essence. Can You Remember Your Dreams? Are you having trouble sleeping or remembering your dreams? If you wish to begin to experience lucid dreams, where you are aware of the content of your dreams while you are still asleep, it may be extremely helpful to place one under the pillow. 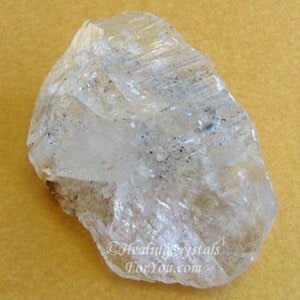 It is well known that Herkimer Diamonds will help to heighten your ability to dream and that they can stimulate lucid dreaming. Using them may result in surprising insights, creativity and true vision in every area of your life. Their strong crystal energy may activate your third eye chakra, crown chakra, soul star chakra and etheric chakras. This may boost your powers of perception, giving you almost visionary ability and allow eyesight improvement and healing. Who Should Use These High Vibration Crystals? It is blissful stone to use during meditation! 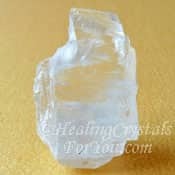 The purity and beauty of the energy of these crystals may draw angelic beings and higher spirit guides to it. You may find that you start connecting to angels. Take a look at their video as I think its definitely worth watching. They are a birthstone for Sagittarius, so you will also find them on the zodiac birthstone list. 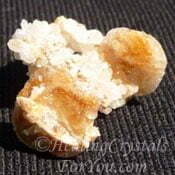 You will sometimes find them in pendants mixed with other crystals, as well as on their own. To really move you forward in many aspects of your life, wearing Herkimer Diamonds may be highly advantageous, as they are beneficial healing crystals for you to keep on you. 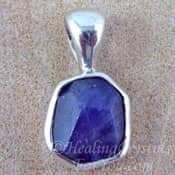 By keeping this stone on you constantly it can cause an expansion of your being and allow almost unconscious connection to the Divine realms. Herkimers are on the birthstone list by month, as they are an April birthstone. Jewelry made from these stones, like the bracelet shown here, looks unusual, and is quite attractive, and the benefits are extremely high. But they are potent high crystal energy stones. You will need to take care if you are keeping them on your body, and be sure to make sure you are grounded. They will help whatever crystals that they are combined with, to work more effectively, and have a stronger resonance within your auric field. 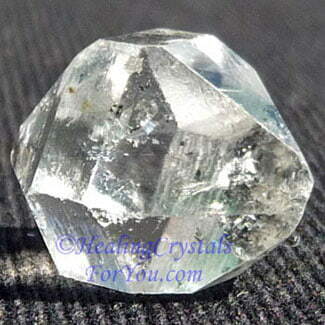 Herkimer Diamonds are easy to buy, and using these powerhouse stones in meditation is another step you can take. Doing a daily meditation with crystals with these powerful stones for many people is the beginning of a highly spiritual experience. This may also lead to the opening of a variety of psychic gifts. These are powerful stones for the higher chakras. 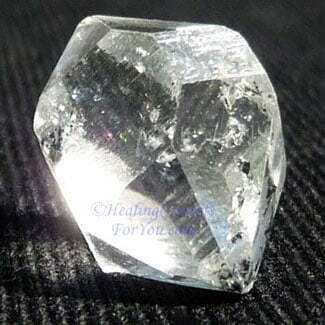 When you use them during meditation, Herkimer Diamonds are powerful stones to open the higher chakras. They will take the energy up through the third eye chakra and through the crown chakra to the soul star and higher transpersonal chakras. 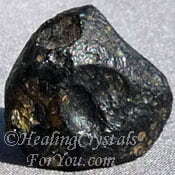 If during your meditation you pair it with other high vibration stones, it will magnify the other stone's vibration. 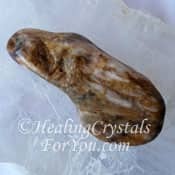 This may enrich your meditation experience, and while you are meditating with this powerful stone, you can program it to enhance your natural gifts and talents and improve your mental state. 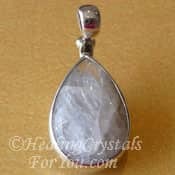 This could also be done with any stones in your jewelry, to make them highly effective aids to spiritual growth. Keep your head and heart going in the right direction and you won't have to worry about your feet. The books by Sonia Choquette are excellent aids to help you if you are working on developing psychic abilities, including developing your intuition. 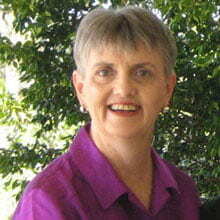 Sonia Choquette has been working as a psychic for many years and her book 'Diary Of A Psychic' is very interesting. 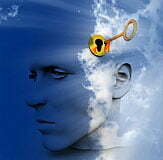 Reading it may give you some help if you are working on developing psychic gifts. Many of these books will assist your personal work that helps to stimulate spiritual growth. The books and the CD set provides excellent tools to assist you. Click Here to read reviews of Sonia Choquette books. 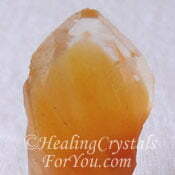 These crystals are excellent to use in combination with other high crystal energy stones. There are a few specific stones that will benefit you by using them with these powerhouse stones. 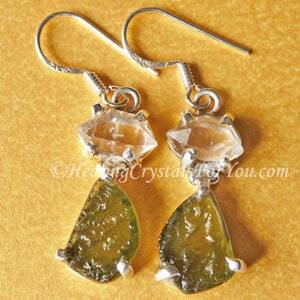 My Herkimer and Moldavite Earrings are beautiful and this crystal is potent used with Moldavite. So wearing them as jewelry like this is a good way to wear both stones. 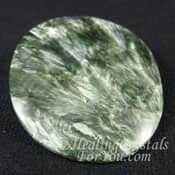 Although the high vibration stones mentioned will blend well with them, these stones are powerful combined with any other stone, to take the energy of the other stone to a higher level. If you have a crystal that you wish to use and it is a very tiny piece, combine it with Herkimer Diamonds, to boost its effect. 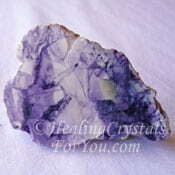 Use them along with other high vibration crystals, as you will benefit immensely by this blending of their vibrations. Use them with stones such as White Heulandite, Moldavite, Phenacite and along with other high crystal energy stones such as Herderite, Tanzanite, Satyaloka Quartz, Tibetan Tektite, Tiffany Stone, Scolecite, Natrolite and Clear Apophyllite. Each of the stones above has its own specific natural high vibration crystal energy, but their combination with the Herkimer's strong and pure vibration takes you to a totally new level. 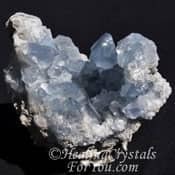 For connecting with the angelic realm, combine it with Apophyllite, Angel Phantom Quartz, Celestite, Danburite, Petalite or Seraphinite. 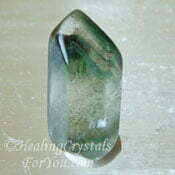 Use it with Zircon Crystal in meditation to aid you to achieve the specific purpose you are aiming for. 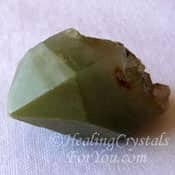 Use it with Lithium Quartz or Aurora Quartz to create a beautiful heart based experience and with Que Sera Crystals, Sillimanite, Chlorite Phantom Quartz or Dream Quartz to aid clairaudience.